FUE Candidates: Is the Procedure Right for Me? Many people struggling with hair loss turn to follicular unit extraction (FUE) to restore their hairline. 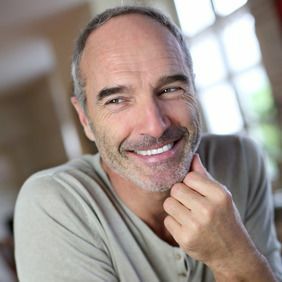 FUE is widely considered to be one of the most advanced hair transplant technologies available today, and has gained a reputation for providing incredibly natural-looking results. Drs. Robert True and Robert Dorin are highly-regarded hair restoration specialists who can help determine if FUE is the right hair restoration for you. To learn whether you are a good FUE candidate, schedule a consultation at our New York practice today. Dr. True explains how Follicular Unit Extraction (FUE) works. FUE is a method of extracting follicle units, or a group of 1-4 hairs, for hair transplantation. During a FUE procedure, individual follicle units are harvested directly from the donor area, often one at a time. Another poplar type of follicular unit extraction is called follicle unit transplant, or FUT. FUT involves excising a strip of skin from the donor site, usually from the back of the head, and then extracting the follicular units. Unlike FUT, FUE can harvest follicle units from areas of the body other than the head, including the chest, arms, legs, and back. Who Are Good FUE Candidates? There are a number of reasons why one harvesting procedure might be recommended to you over another. The best way to find out which treatment is right for you is by having by coming in for an evaluation and meeting with one of our doctors. Another benefit of the FUE method is that it is the only technique that can utilize body hair for transplantation. This can be useful for patients with soft scalps, or those who do not have an adequate supply of hair on the sides or the back of their heads. Dr. True employs a special technique to determine if a donor site can achieve the desired results. Because of structural and growth cycle differences between scalp hair and body hair, body hair transplantation using the FUE method is primarily used for thinning areas and not to construct the hairline. Additionally, hair harvested from donor sites on the body has a reduced survival rate compared to hair taken from the scalp. Take the first step towards creating a natural-looking, full head of hair. Make an appointment today with one of our hair restoration doctors to find out if you are a candidate for FUE. We look forward to meeting you and using our expertise to help you meet your goals.